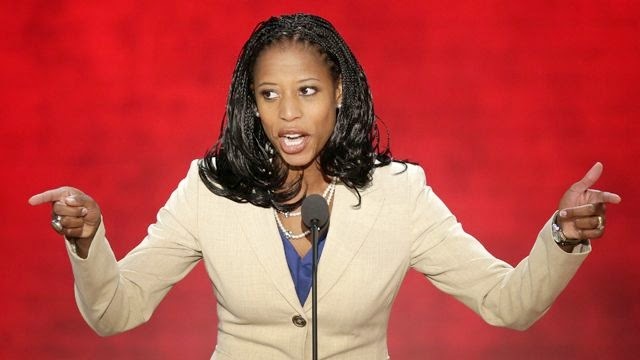 If you listened to Republican Mia Love tell it back in 2012, you would have remembered that she vowed to "dismantle" the Congressional Black Caucus. Mia said that she believed that the Caucus was "demagoguery" and that the members "sit there and ignite emotions and ignite racism when there isn't." Her comments were that of a typical Republican--lacking sense, thoughtfulness, and understanding of why the CBC is necessary. Since it's conception in 1971, the CBC has devoted it's mission to passing legislative concerns of the minorities, creating "universal access to a world class education," "affordable healthcare and the elimination of racially based health disparities," and much more. Therefore, Mia's disdain was odd but her deciding to join is even odder; this is because Mia Love is not the first black Republican who had to consider involvement with the CBC. In fact, black Republicans before her--Former Congressman J.C. Watts and Sen. Tim Scott--have been known to keep tradition and exclaim that the CBC's mission opposes theirs. It is important, then, that we hope and pray that only great things come out of this joining. Perhaps with this seat on the Congressional Black Caucus, Mia can not only help pass legislations that will better lives, but also reflect and heal from her internalized racism (but I could be reaching).